Calling all Alpha XI Delta Sorority sisters. 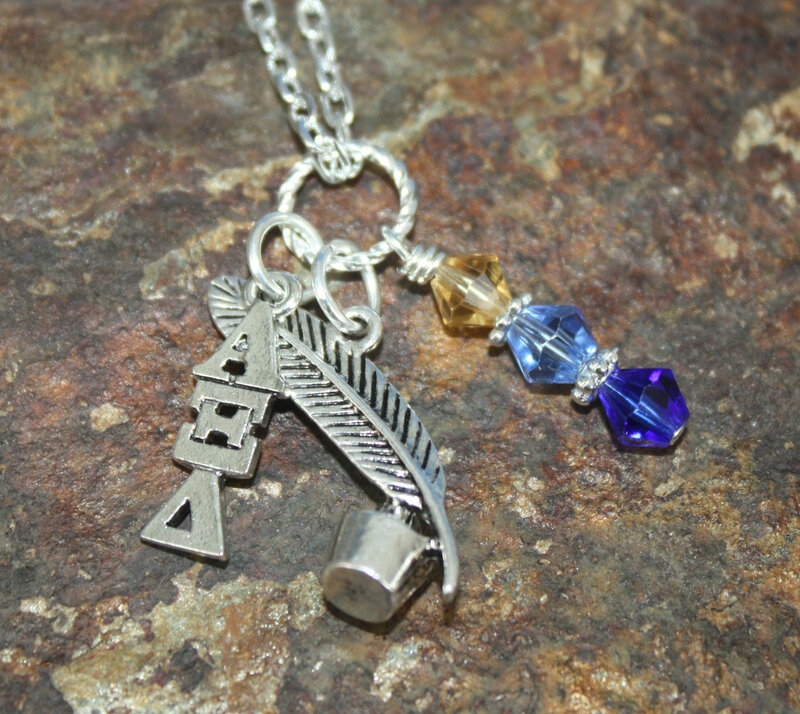 This necklace has the Alpha XI Delta charm, a quill pen and Swarovski crystals in the sorority colors – light blue, dark blue & gold. 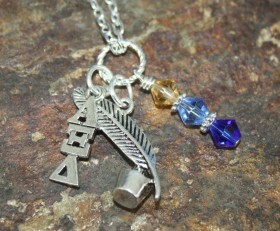 Categories: A Little Bit of Everything, Collegiate Jewelry, Sororities.